Carol Richardson Marty is a Seattle-based photographer specializing in food and product photography, as well as equine photography. Carol's approach is a combination of creativity, simplicity, vision, and patience. Always looking at a setting from many different angles and wanting to tell a complete story, Carol strives to find the most unique and beautiful, yet simplistic picture possible. Carol does minimal post-processing; as she feels the picture is what she sees at that specific moment in time. Carol was born and raised in Tallahassee, Florida and is a die-hard Florida State Seminole alumna! Being the child of a fantastic Southern baker and cook (Mom is from south Georgia), Carol began baking at a young age. That love for baking and all things sweet grew into an award winning cake decorating business, Carol's Creative Confections, for which she still provides delicious treats for customers. Carol has always had a camera in hand, and one day while photographing a cake, she realized that she enjoyed the photography even more than the cake! Now focusing on photography, Carol has grown and expanded; with clients including Tully's Coffee and Quaker Oatmeal (food styling). 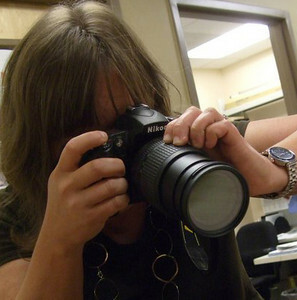 She also volunteers with Little Bit Therapeutic Riding Center, and has become the organization's official photographer. The Florida beaches near her home are famous for the sand being extremely fine. The sand has a beautiful white color, and it easily slips through your fingers like sugar. It is thus often referred to as "sugar sand". Sugar Sand Photography was born as an homage to Carol's hometown roots, as well as keeping in line with the theme of her photography: simple, clean and beautiful.